This New Lenox Grade School was built in 1927 as a replacement for the two-story frame school. The building originally contained three classrooms and a gymnasium. Two additions have been made to the building over time and it was finally taken out of service as a school and made the headquarters building for District 122 Schools. The very first log cabin school for the town was built on the site in the 1830s. Originally the building was a first through eighth grades. The exploding population following World War II made it necessary to build more schools. 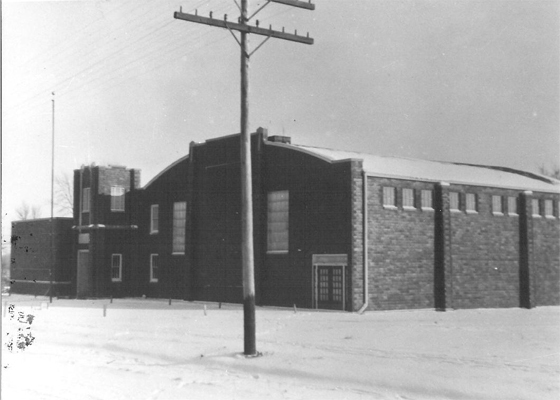 Before those schools opened, the gymnasium was subdivided into classrooms and one class was located across the street in the Methodist Church. 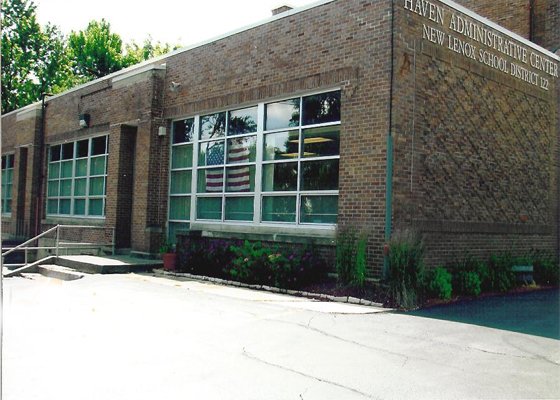 When the first new school opened, the New Lenox Grade School became Haven School. Later when grade clusters were introduced and junior high schools added, this building served as a cluster school. Architecturally the exterior shows some particularly fine brickwork for a utilitarian building. Some adaptations have been made to conform to building codes, but essentially the building stands as it did, serving pupils for seventy years. Named an Official Will County Landmark in 2008 Located at Cedar Road and Haven Avenue. The New Lenox Grade School before additions were added and the building as it appears today.